Great news… we’ve kept a human alive for a whole year! Owen turned 1 a few weeks ago (ahhh!!) and I can say with complete confidence that I’ve only survived my first year of motherhood by the grace of coffee. There were many, MANY nights where Owen would wake up 3+ times a night and coffee and I were BFFs the next day. I don’t know how I would have powered through working and “momming” without it. 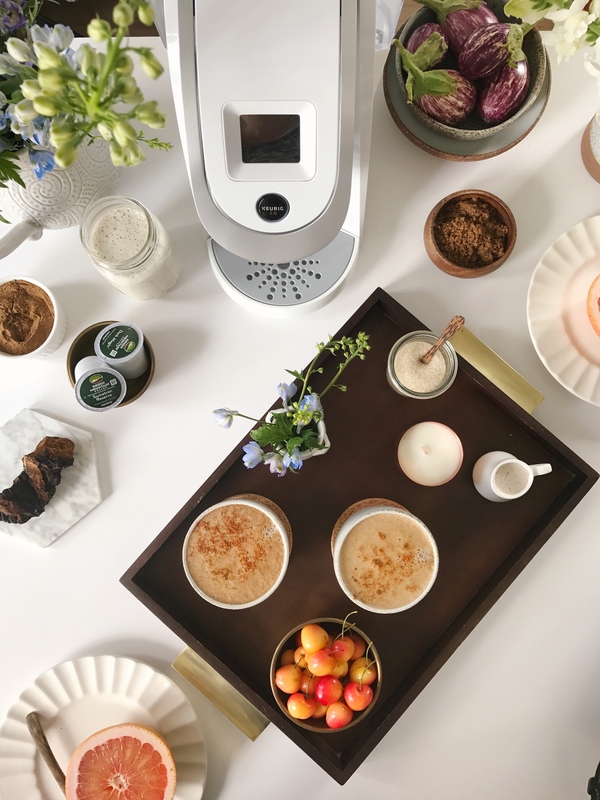 That being said, naturally, the star of my Mother’s Day brunch this year is a superfood coffee; Moms need their coffee! 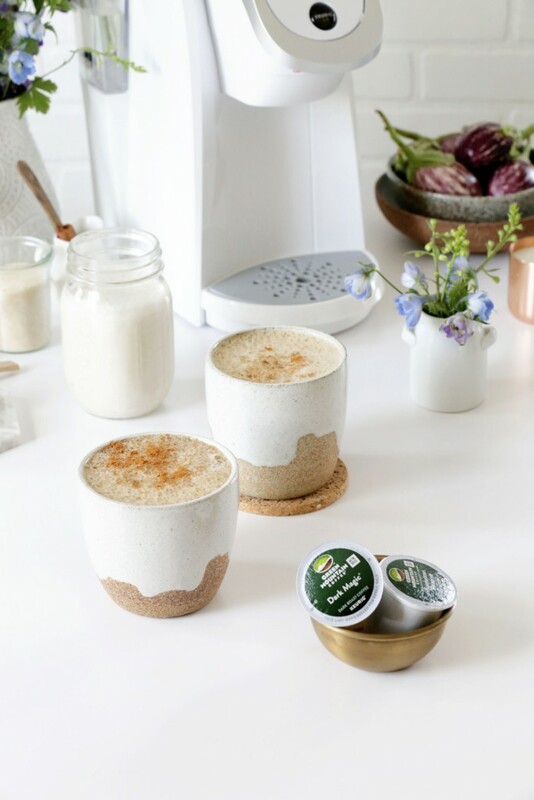 I’m thrilled to be partnering with Keurig Green Mountain® on this post (all opinions, images, and ideas are my own, of course) to show you how to make a reishi-chaga coffee with macadamia milk. Just think of it as a coffee with added health benefits! 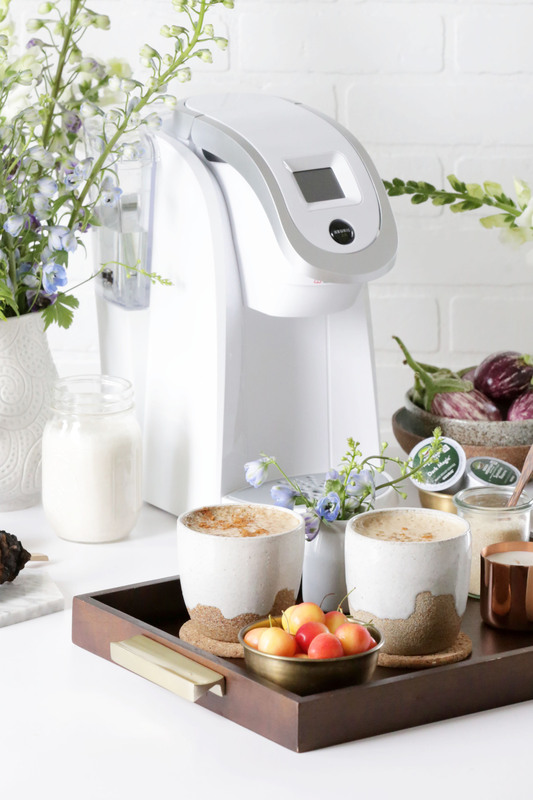 I love using the Keurig® K250 Coffee Maker for this recipe because it makes it super fast and easily scalable for additional servings. 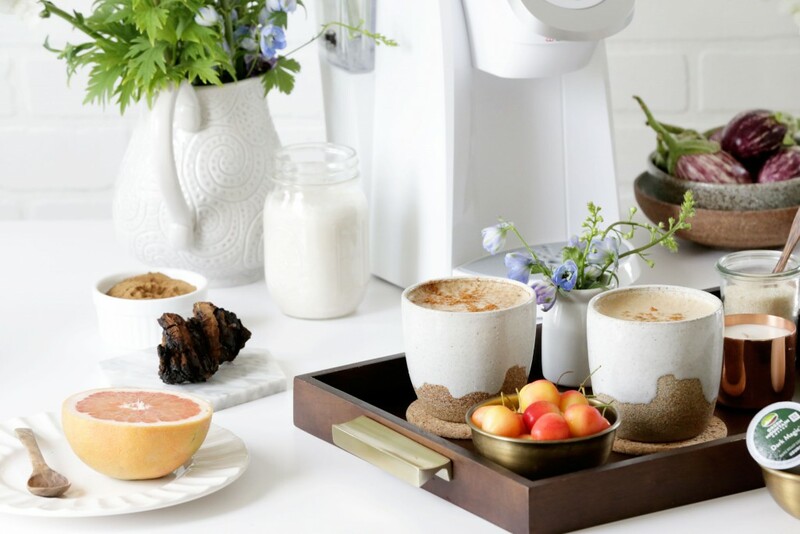 My mom and sister–also fellow coffee-lovers–will be joining us for Mother’s Day weekend, so it’s nice to know that their coffees are just a touch of a button away! For my everyday coffee, I usually prefer a medium roast, but a dark roast works best for this recipe. 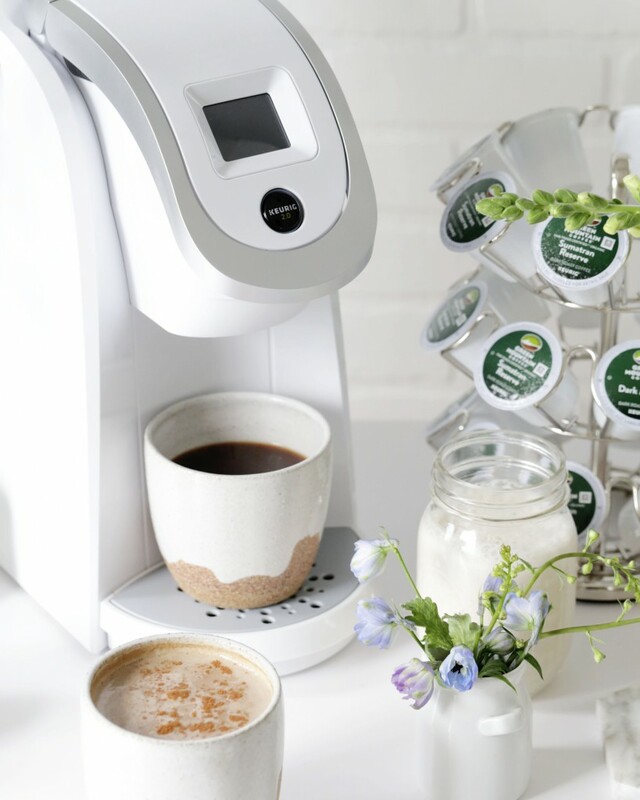 My favorite K-Cup pods are Green Mountain Coffee® Sumatran Reserve Extra Bold Coffee (it’s Fair Trade Certified™ and organic!) or Green Mountain Coffee® Dark Magic® Extra Bold Coffee. 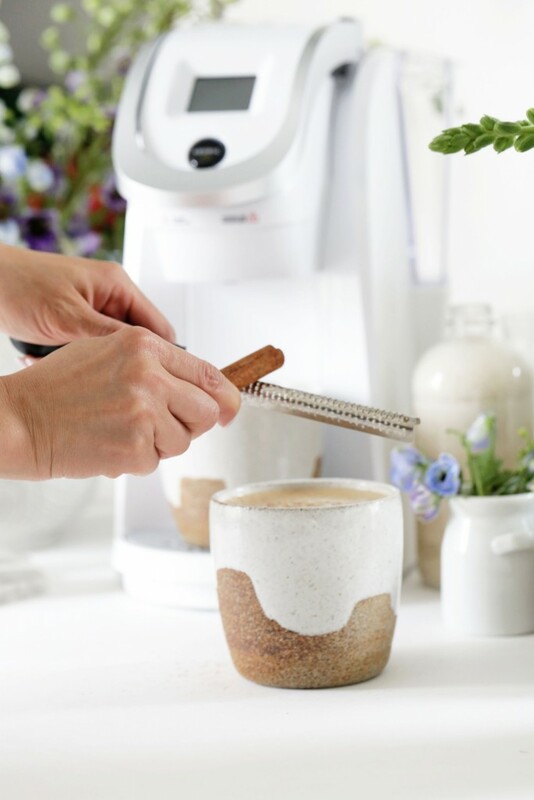 Using a bolder coffee means that the taste of the coffee will still shine through the creaminess of the macadamia creamer. 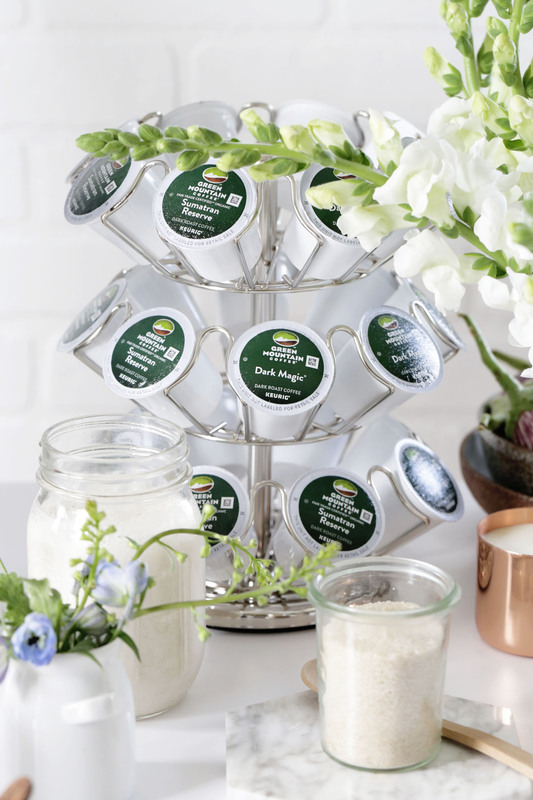 Speaking of macadamia creamer, this recipe adds dates for natural sweetness and vanilla bean and cinnamon for flavor. Macadamias are high in fat (good fat!) 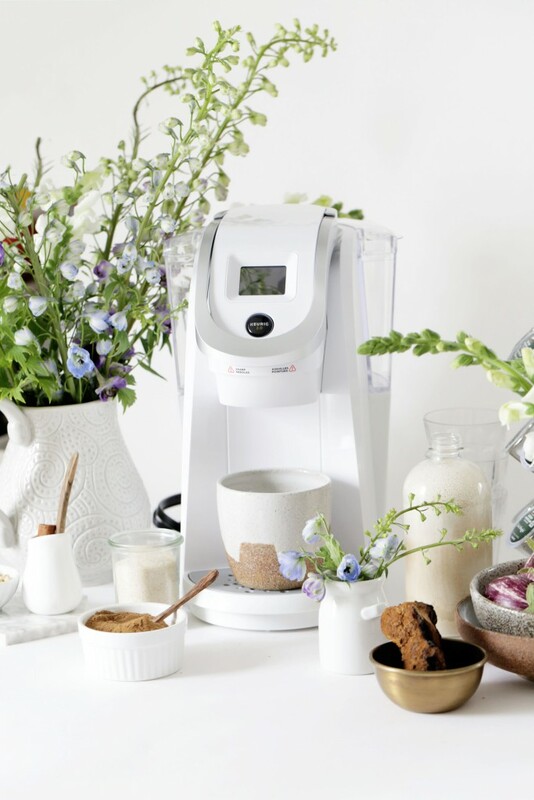 which makes this creamer so decadent, yet dairy-free. I don’t usually strain my macadamia nut milks, but you could if you wanted it ultra smooth. Also, feel free to substitute cashews, which have a similar profile. Happy Mother’s Day to all the mamas out there! I hope somebody is making you a coffee. 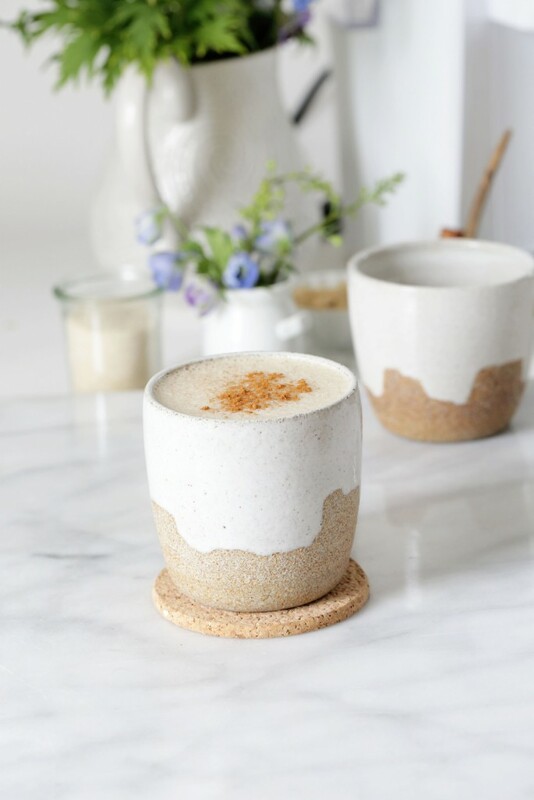 For the macadamia nut cream: Combine macadamia nut, dates, vanilla bean seeds, cinnamon, and water in a high powered blender. Blend on high until smooth. Strain, if desired, and set aside. This makes enough for 4-6 servings. 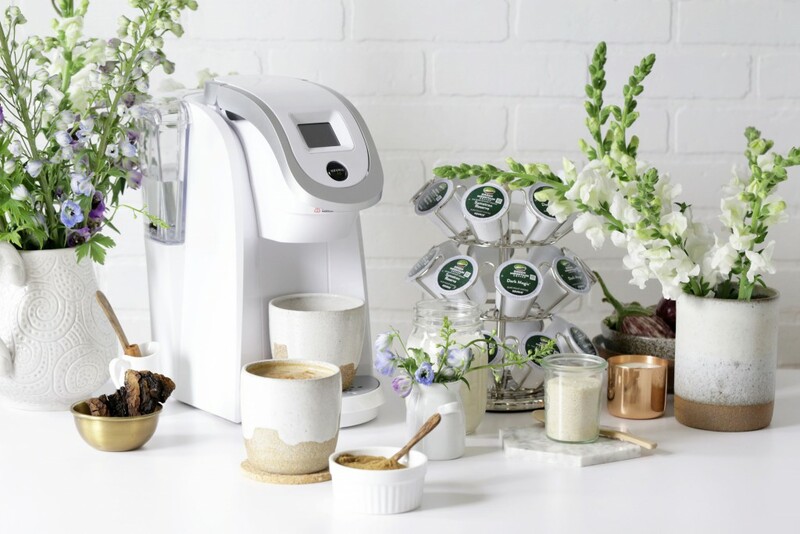 For the coffee: For each serving, brew 1 K-Cup® pod using the STRONG setting. Warm about ⅓-½ cup of macadamia nut milk in a saucepan over medium-low. 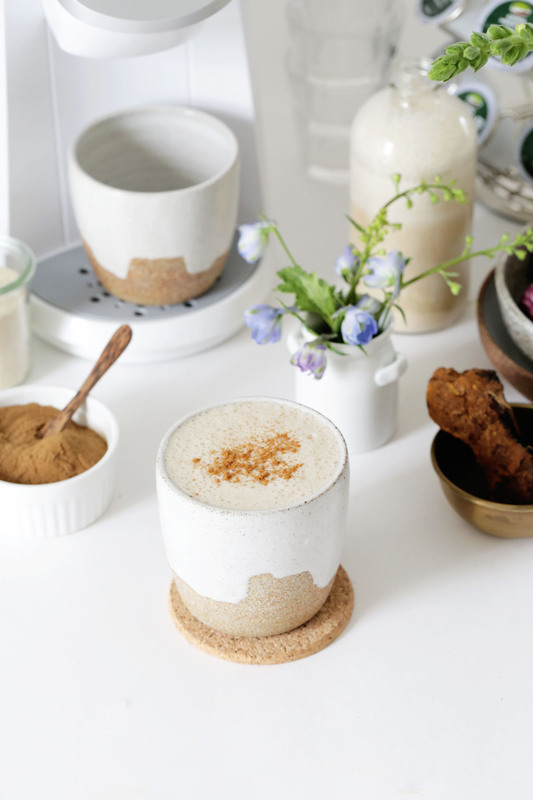 Stir in reishi, chaga, and maca powders and coffee. Turn heat off and blend with an immersion blender until frothy. Sweeten to taste. Sprinkle with cinnamon. Love to know where the coffee cups are from? super cute! thanks for the great recipe!